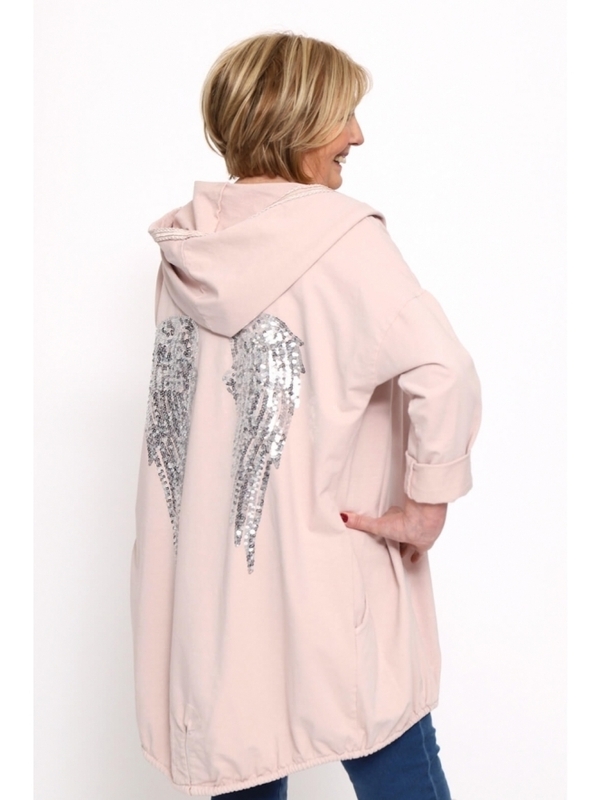 A casual hooded jacket made glamorous with sequinned angel wing detailing. 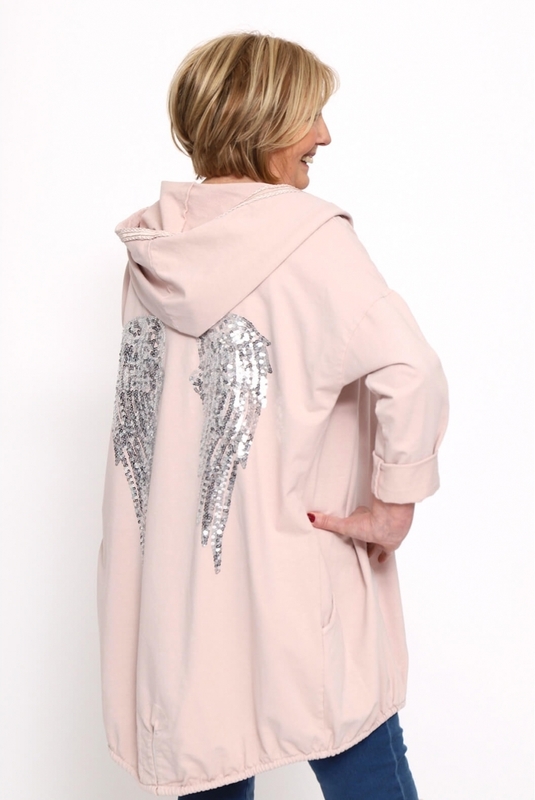 The Made in Italy Dymock Angel Hooded Jacket is designed to be worn open, with fastening free lurex edge detailing. Being stocked in both black and charcoal, allowing you to layer it with almost any coloured knit to achieve a dressed down look, with an angelic edge.